Here come the holidays! One of my fave things to do is to try out the new holiday beauty sets from some of my favourite brands! 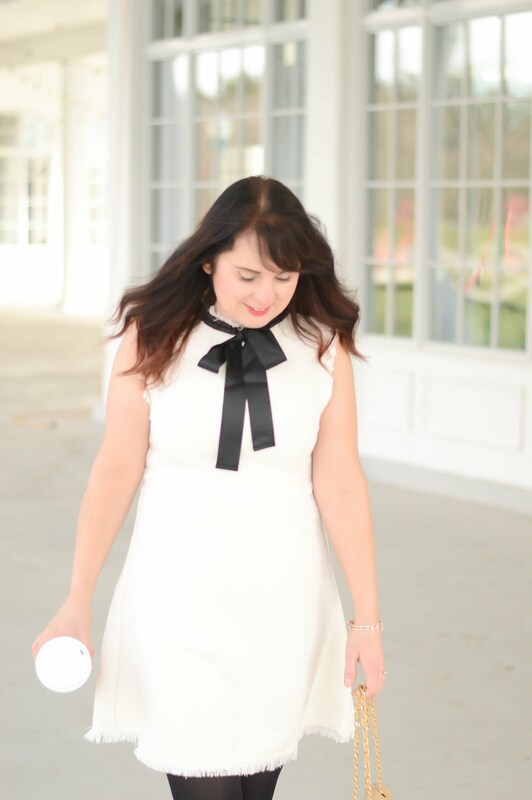 Quo always outdoes themselves with some of my fave gifts sets of the season! For 2017 the Quo holiday cosmetic sets are just plain fantastic, and at even better price points! From eyes, face, lips, brows and more, trust me when I say Quo will have the perfect gift for the beauty lover in your life. This twelve days of Christmas set is the perfect alternative to an advent calendar. For $40 it includes a Lip Crayon, Eye Shadow Crayon, Highlighter, 2 Eye Duos, Mascara, Liquid Lipstick, Blush, Eyeliner, Lip Gloss, All Over Shadow Brush, large blending sponge and small blending sponge. Yes! YES YES!! 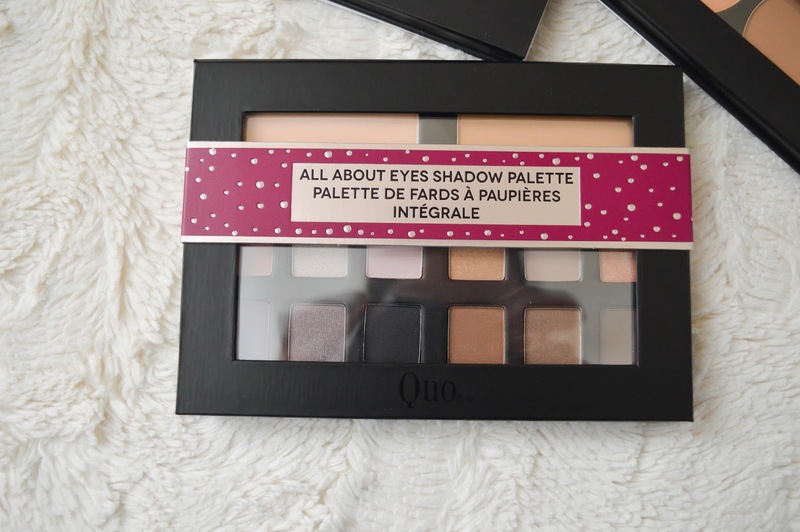 This face palette is one of my faves from the Quo holiday collection. There are sixteen different eye shadows, as well as, everything you need to contour your face at $45! This is definitely on my list of what to give this season. The beauty on the go pack has everything you need to create a perfect look. 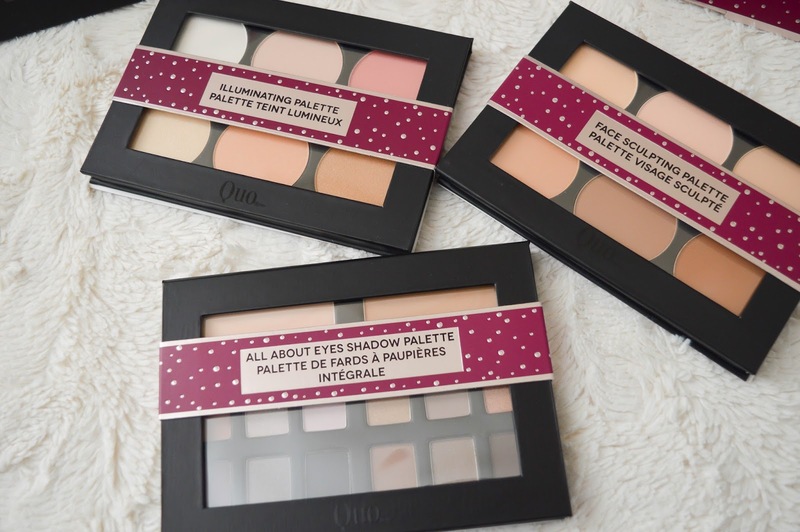 For $35 there are three separate palettes, one for eyes, face, and lips! Now onto stocking stuffers! 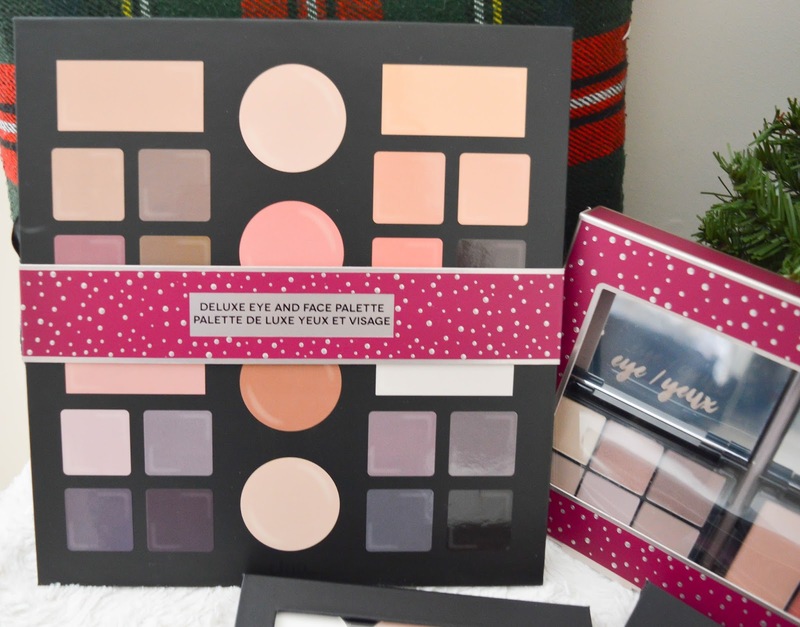 I would be thrilled to get one of these palettes in my stocking this year. Each one of these is $22 and contains gorgeous colours. I admit the illuminating palette is my fave of the three. For $20 these lipgloss sets, and liquid lipstick sets are a total steal! The colours are beautiful and I know every beauty lover will love the size of these. They are so easy to carry in a purse (large or small). 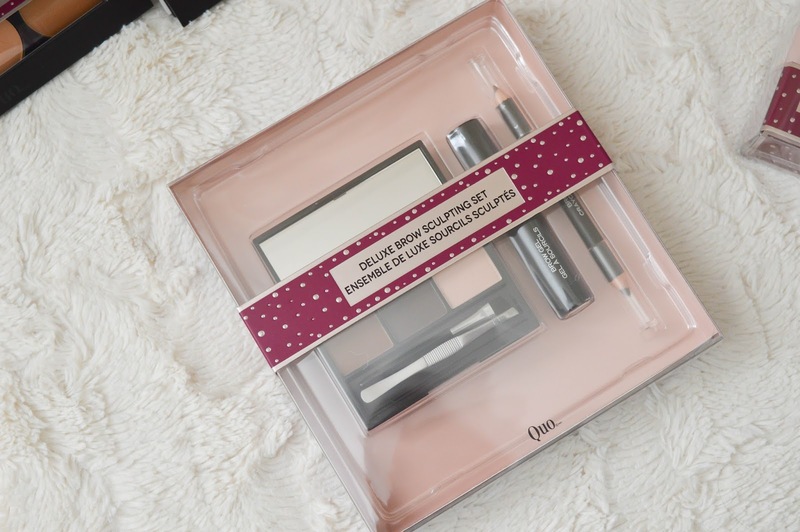 You can find the Quo holiday sets at your local Shoppers Drug Mart and trust me you are going to want them all. Let me know which one you must have, and who you are giving it to (or keeping it for yourself).